Terming it a "blockbuster quarter", the company said the demand outlook remains strong but retained its 6-8 per cent revenue growth outlook for FY2018-19. The country's second-largest IT firm Infosys Tuesday posted a 10.3 per cent jump in its September quarter consolidated net profit at Rs 4,110 crore, helped by strong deal pipeline and traction in digital revenues. "We see a strong demand outlook backed by good fundamentals in the US, Continental Europe...this is a fairly comfortable outlook, both in demand and revenue," Infosys CEO and managing director Salil Parekh said. He added that large deal wins at over USD 2 billion in the second quarter of the fiscal demonstrate "increased client relevance and also give us better growth visibility for the near-term". In dollar terms, Infosys saw its net profit increase marginally to USD 581 million in September quarter, while revenues at USD 2.92 billion marked a 7.1 per cent year-on-year growth. Digital revenues stood at USD 905 million, growing at 33.5 per cent year-on-year. The segment accounted for 31 per cent of the total revenues. "We will continue to make strategic investments in digital to leverage opportunities and at the same time, keep sharp focus on key operational efficiency parameters," Infosys CFO MD Ranganath said and added that Infosys had seen "blockbuster financial and operational performance" in the just-ended quarter. Besides, Infosys said it will comply with the arbitration award asking it to pay Rs 12.17 crore to former CFO Rajiv Bansal. "The company has received legal advice and will comply with the award and make the necessary payments," the Bengaluru-based company said in its statement. Infosys had agreed to pay Bansal a severance amount of Rs 17.38 crore or 24 months of salary after he quit in 2015. However, only Rs 5 crore of this was paid as co-founder N R Narayana Murthy and others had raised objections to the severance pay, terming it excessive. Following this, Bansal had dragged his former employer to arbitration to claim the remaining Rs 12 crore of his severance pay. 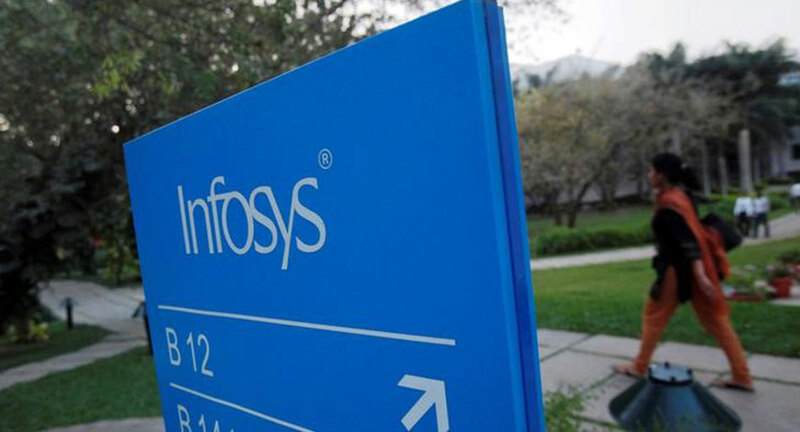 In September, Infosys lost the arbitration and was asked to pay outstanding amount of Rs 12.17 crore with interest. The company has declared an interim dividend of Rs 7 per share. Infosys added 19,721 (gross) and 7,834 (net) people during the September quarter, taking the total headcount to 2,17,739. Attrition (annualised consolidated) was at 22.2 per cent. (PTI).